I have been able to re-create Battlesteed. I will keep breeding until I have given out a lineage baby to those that have requested for a 1st gen Battlesteed before the crash. I have joined the Darkwolf Challenge therefore I am still temporarily closed. 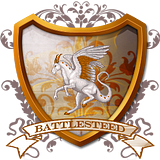 Anyways, I have yet to re-create the Battlesteed lineage and when I do, I will not accept any new requests for Battlesteed until I complete the requests for Battlesteed that I had before the crash. And, just a reminder, you'll have to reply here if you want your lineage creatures back or if you want me to breed them again for you. These Creatures are all gifts and are sent to you free of charge. So please, DO NOT RELEASE, ABANDON, OR SELL them. Should you no longer want them, then please, send them back to me. Only ONE lineage Creature per Lineage. However, you may request for as many lineages in one post. Unless otherwise stated, you will get the FIRST AVAILABLE GENERATION of a Lineage Pair's offspring. WAIT FOR OPEN SPOT. If the waiting list for a certain lineage is full, then please don't request for that lineage. NAME REQUIRED. Please specify a name that you intend to give for the lineage Creature. I would prefer NO GENDER REQUESTS with my lineages or NO SPECIES REQUEST with regards to Sky Dancer. But if you do, should the egg hatch into the wrong gender/species then I shall give the offspring to the next person waiting. Please be PATIENT. Keep in mind that I also do breeding for VBC and my shop for myself. Please DO NOT FREEZE OR RELEASE eggs or hatchlings. Each lineage has it's own minor rule regarding names and breeding written in the spoiler and in their Lineage page. 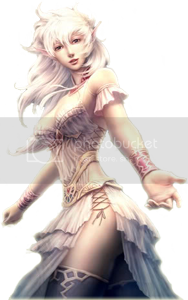 Please pass on the lineage rules should you decide to breed the lineage creatures that you get from me. Please breed only with Stream-Born or First Gen non-lineage Blue Hippocampi. Please keep the lineage pure. No inbreeding. If you have read these rules, then put "The lost city of Atlantis." in the form. Please breed only with non-lineage Stream-Born or First Gen Snow Shoe Jackalopes. If you have read these rules, then put "Best of the Best." in the form. All Kagemusha Mist Stalkers must be given Japanese names. Please breed only with Stream-Born non-lineage Mist Stalkers. If you have read these rules, then put "Beware of shadows." in the form. All Yagyu Telvian Panthers must have Japanese names preferably from the Yagyu Clan. Please breed only with non-lineage Stream-Born Telvian Panthers. If you have read these rules, then put "Silent as Death." in the form. All Featherwing Brown Gryphons must have Native American names. Please breed only with non-lineage Stream-Born Brown Gryphons. If you have read these rules, then put "Light as feathers." in the form. 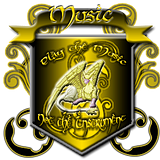 All Music Gold Gryphons must have names that have the word "song" in them. Please breed only with Stream Born Golden Gryhons. If you have read these rules, then put "The sound of music." in the form. All Mac Cionaodh Fire Gryphons must have names that mean "fire" in whatever language you care to name them. Please breed only with non-lineage SB Fire Gryphons or Fire Gryphons whose parents are both SB. If you have read these rules, then put "Born of Fire." in the form. All De Chiel Ice Gryphons must have French names. Please breed only with non-lineage Ice Gryphons whose parents are both SB. If you have read these rules, then put "Heavenly Gift." in the form. If you have read these rules, then put "Cold Fire." in the form. If you have read these rules, then put "Burning Flame." in the form. Please breed only with non-lineage Shop Bought Niveus Enox. If you have read these rules, then put "Die with Honor." in the form. Please breed only with non-lineage Shop Bought Noctis Enox. If you have read these rules, then put "Semper Fi." in the form. Please breed only with Stream-Born non-lineage Pegasi (Light or Dark) or with First Gen non-lineage Pinto Pegasi. If you have a Light Pegasus Sky Dancer, then please breed it with a SB Dark Pegasus. If you have a Dark Pegasus Sky Dancer, then please breed it with a SB Light Pegasus. 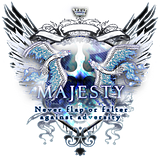 If you have read these rules, then put "Majestic aerial dance." in the form. Please breed only with non-lineage Stream-Born Phoenixes. If you have read these rules, then put "Cleansed by fire." in the form. All Majesty Ice Phoenixes must have names with the word "ice" in them. Please breed only with Shop Bought Ice Phoenixes. If you have read these rules, then put "Ice cold beauty." in the form. All Prisma Puvia must have color names. Please breed only with non-lineage Stream-Born Puvia. If you have read these rules, then put "Rainbow Magic." in the form. 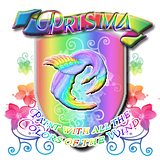 All Prismatic Puvia must have names referring to Light or Colors. If you have read these rules, then put "Magic Rainbow." in the form. Info: This is a controlled lineage and I will only breed 1st gens until I get 5 boys that I'll name after the DBSK members, Kim Jaejoong/Hero Jaejoong, Jung Yunho/U-know Yunho, Park Yoochun/Micky Yoochun, Kim Junsu/Xiah Junsu, & Shim Changmin/Max Changmin. I don't want to see any other Etainian Quetzalcoatls with the same name as the five members of DBSK. I shall keep the five boys with me but I'll give away the girls that I manage to breed. All Dong Bang Shin Gi Etainianian Quetzalcoatls must have Korean names. Please breed only with Quest-Born or First Gen non-lineage Etainian Quetzalcoatls. If you have read these rules, then put "Rising Gods of the East." in the form. All Mac Domhnaill Rewin Ancients must have names that are synonymous to their mate's. Please breed only with non-lineage Quest-Born or First Gen Rewin Ancient. If you do breed more, please make sure to turn them into Rewin Ancients. If you have read these rules, then put "Alpha & Omega." in the form. 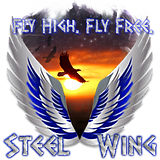 All Steel Wing Rocs must be named with Celtic, Gaelic, or Irish names. Please breed only with Shop Bought Rocs. If you have read these rules, then put "Fly high. Fly free." in the form. All Tchaicovsky Rocs must be given Russian names using the English Alphabet. If you have read these rules, then put "Infinity and Beyond." in the form. Generation: Specific generation that you'd like to have. Default is Any. Name: The name that you'll give the Creature. Masculine, Feminine, or Unisex. Gender: (Optional. May be omitted.) Male or Female. Default is Any. Species (Applicable only for Sky Dancer): (Optional. May be omitted.) 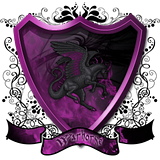 Pegasus, Dark Pegasus, or Pinto Pegasus. Default is Any. If you want to check if there are any readily available lineage creatures, check my Misc tab under the FOR ADOPTION frozen koi egg divider. Last edited by HoukaRyuu on July 14th, 2011, 3:31:05 am, edited 142 times in total. Please only breed them with non-lineaged SB Purple Hippocampus. If you have read these rules, then put "Here kitty, kitty, kitty." in the form. Please only breed them with non-lineaged Quest Born or 1st Gen Hellhounds. If you have read these rules, then put "The Sadist." in the form. If you have read these rules, then put "Shadows heard but not seen." in the form. If you have read these rules, then put "Death on four legs." in the form. All Fluffenshire Gold Gryphons must have the word "fluff" in their name, not counting their family name. Please only breed them with SB or 1st Gen Gold Gryphons, preferably non-lineaged. However, you may cross-breed with other lineages as long as it is okay with the Lineage Creator. If you have read these rules, then put "Fluffy fluff of golden feathers." in the form. Please only breed them with non-lineaged SB Black Gryphons. If you have read these rules, then put "Raven's call." in the form. Please only breed them with non-lineaged SB or 1st Gen Fire Gryphons. If you have read these rules, then put "Born of darkest fire." in the form. Please only breed them with non-lineaged SB Gold Gryphons, or SB Phoenixes, or 1st Gen Fire Gryphons. If you have read these rules, then put "Born and raised in fire." in the form. If you have read these rules, then put "Fire bending of the Fire Nation." in the form. Please only breed them with non-lineaged QB or 1st Gen Etainian Quetzalcoatls. If you have read these rules, then put "Dragon of Fire." in the form. Please only breed them with non-lineaged QB or 1st Gen Nareaun Quetzalcoatls. Do not sell any offspring only gift them forward. If you have read these rules, then put "Azure skies." in the form. Must be named after Birds of Prey. Please only breed them with non-lineaged SB Rocs. If you have read these rules, then put "Sky hunters." in the form. Please breed only with SB or 1st Gen Snow Shoe Jackalopes, preferably non-lineaged. However, you may cross-breed with other lineages as long as it is okay with the Lineage Creator. If you have read these rules, then put "Cold as Ice." in the form. If you have read these rules, then put "Cutie pie." in the form. Please only breed them with Quest Born or 1st Gen Etainian or Nareaun Quetzalcoatls, preferably non-lineaged. However, you may cross-breed with other lineages as long as it is okay with the Lineage Creator. If you have read these rules, then put "Star light. Star bright." in the form. Like my lineages? Then feel free to help me advertise. The images in the spoiler below aren't linked to any URL so you may link back either to this thread or to their corresponding family page. Made by TheShadow - Shop Closed. Made by Clewtician - Shop Closed. 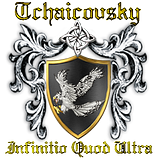 Like the Family Crest and Family Userbar combo? Last edited by HoukaRyuu on June 20th, 2011, 8:01:44 pm, edited 28 times in total. I'm almost done with DantesChampagne's order. I just need to breed Mac Domhnaill but I have to wait two more days since they refused to breed. As for Nightcrawler, I am halfway done with her order. Including the four eggs in my siggy, I just need to breed Warhorse, De Chiel, Mac Domhnaill, and a female Dong Bang Shin Gi for her. Oh and, help hatch the eggs. Please and thank you. Decided that I would just offer my lineages for free. I'd rather see them spread to other keeps than have them stay in my keep. Also, I added a new lineage of Phoenixes called, Conlaodh. Finally started the trade on DanteChampagne's Creatures. Just waiting for her to respond so I can confirm and then the Creatures will all be sent in her Keep. As for Nightcrawler's request, waiting on Atlantean and Mac Domhnaill to breed again. They were both uninterested last time I tried to breed them. In other news, I made a new lineage for Pegasi (Light, Dark, & Pinto) which I named, Sky Dancer. I am almost done with Nightcrawler's order. Just waiting for the Mac Domhnaill to grow up so that I can Ancientify her. In addition, I created a new lineage of Mist Stalkers, Kagemusha. Code word:Fly high. Fly free. I'm finally done with Nightcrawler's orders and started the trade. Didn't know if she wanted Sky Dancer or Kagemusha so I didn't include those in the trade I started with her. Wow, long order is long. Will work on them. 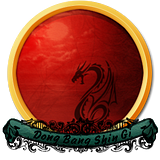 I will only give the females for the first gen Dong Bang Shin Gi lineage. And I will only breed first gen Dong Bang Shin Gi until I get 5 males. You're lucky since my recent Dong Bang Sing Gi turned out female so she's yours. As for Sky Dancer, do you have a species preference, Light, Dark, or Pinto? If not, I have a Light Pegasus that can be yours. I didn't have time to add this, but I'd rather have my Sky Dancers be mated to opposite colored Pegasi. So if you get the Light Pegasus Sky Dancer, I'd prefer that you mate her with a SB Dark Pegasus. Will work on getting a female Lunar Flame for you after I'm done with Jenn's request. So please be patient.